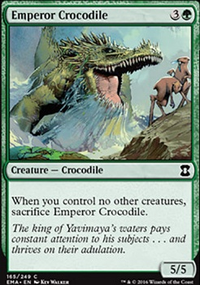 Selesnya Charm is a super versatile card that you may want to consider moving to the main board. Call of the Conclave is a fast way to get a solid body on to the field. 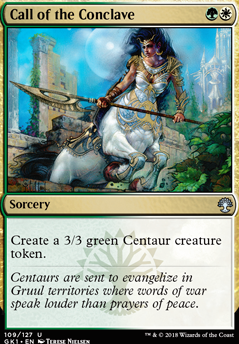 I think to get the most out of Trostani, Selesnya's Voice's populate ability, I would focus more on things that produce bigger tokens instead of a various 1/1s. Cards like Advent of the Wurm, Giant Adephage, Feudkiller's Verdict, Penumbra Wurm, Rampaging Baloths, Beast Attack or even smaller ones like Call of the Herd, Call of the Conclave, Blade Splicer would imho go much better with the population theme. 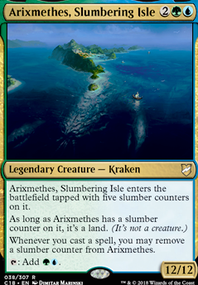 6ixer on Budget Token/Mill Decks? Yeah I know but some times you'd be surprised at some multicolored cards based on there cost and effectiveness. This deck 100% wants Voice of Resurgence, to survive through sweepers. These should absolutely replace Call of the Conclave Also I feel like the new Trostani Discordant would be better than OG Trostani. 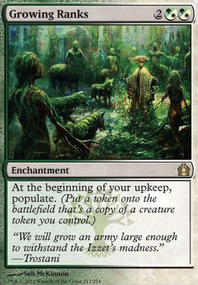 And I understand that the lands are budget, but at least some Sunpetal Grove would make for much more consistent mana. Also in this deck your one-mana populate sorcery will usually be making just another 1/1, a repeatable effect like Growing Ranks might be more effective. You might even consider Hunted Witness since this deck is so weak to board-wipes. 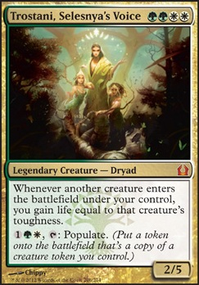 Also I wonder if you want some amount of Nissa, Voice of Zendikar to build bigger tokens. It's vanilla, and vanillas are usually discouraged: we already sorta have one in form of Call of the Conclave. A turn 2 3/3 already puts a serious pressure on Dimir deck. Centaur token can be dealt with easily, at least; Watchwolf? Not so much. Hey, I made one of these populate decks! First Question: How is this aggro? I mean you run no 1 drops, and your fastest kill is turn 5, and that isn't super likely. With Wooded Foothills or Flooded Strands, you only need 2-3 Temple Gardens for required fixing, and Horizon Canopy deserves a spot or two in this list. Also the Grove of the Guardians will never really see play unless you are in the midrange mirror against Abzan or something. 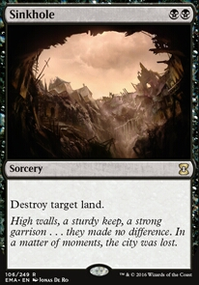 Maybe sideboard them, run some Horizon Canopy, drop a Temple Garden drop in another Fetchland, call your landbase a day. Third Question: Why no dorks? The best plays of populate lists are turn one Noble Hierarch curving into turn two Wayfaring Temple, into turn three 2xCall of the Conclave (One one Call of the Conclave and one Selesnya Charm on 2/2 token), swinging for 5 with Wayfaring Temple (4 creatures+exalted trigger), then copy a Call of the Conclave, turn 4 drop a few creatures (dorks, tokens, whatever), swing for 15, win turn 4. You can also achieve this with a hand of Intangible Virtues. 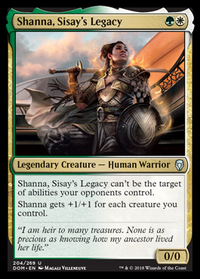 Fourth (And Final) Question: Why do you run Trostani, Selesnya's Voice? Against Combo, or aggro, you are dead before you untap with her, against control, she will die before then, or won't resolve. To be honest, the same is true for Advent of the Wurm. With dorks, it woul be possible to untap with them, but since you don't run any they appear useless. Wilt-Leaf Liege has a similar problem, but I actually like him, because if you swing the turn you drop him, he doesn't need to untap to win a game. Otherwise I find him pretty bad, and would drop him for Dryad Militants that at least stop storm, TurboFog, or Snapcaster Mage, along with Life from the Loam, and a handful of readily played modern staples. Druid's Deliverance actually falls into this category of "cards that won't matter in modern", but I'd be lying if there wouldn't be a deck that could use it, Turbo-Fog (which is not this deck, and Turbo-Fog is normally trash). You should really consider running some of the following: Knight of the Reliquary, Path to Exile, or Intangible Virtue, the do wonders!